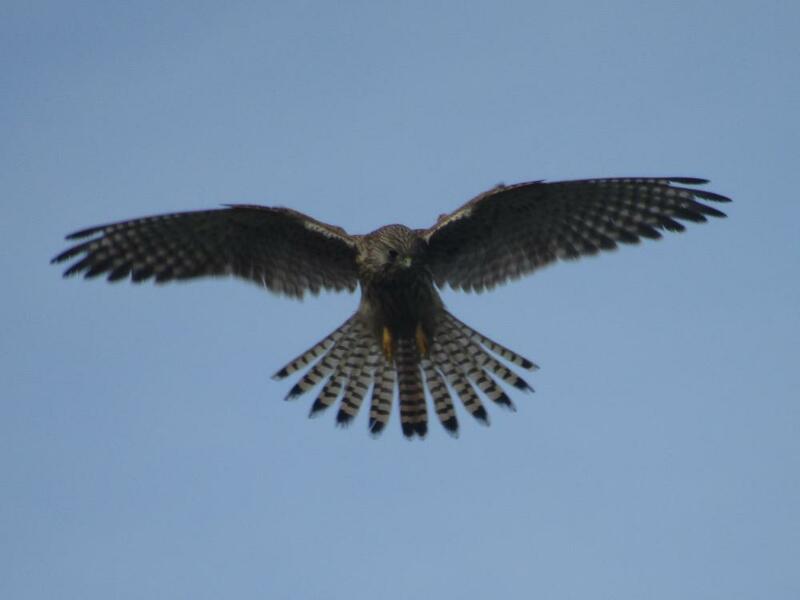 Just recently a number of Kestrels have been hunting both in Warren Glen and the Firehills and it’s worth making a visit just to see them. Hunting through parched grass in the quarry in the hope of finding interesting insects, a wasp of a new family was found. 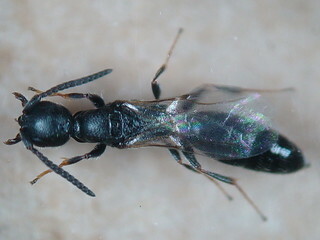 The family is Bethylidae, and the wasp is Epyris niger. 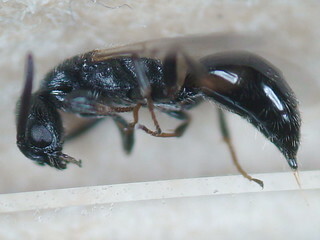 It was entirely black, approximately 4mm long, and had a prognathous head. Microscope examination proved it to be a most interesting insect that is evidently quite a serious predator. It has a powerful sting to disable larvae of lepidoptera and coleoptera which are then dragged away – eggs are laid on the prey. This is another new species to add to the ever-growing list for the Country Park. I must apologise to anyone who has tried to download the full Country Park leaflet recently. I was not aware that the link was broken. All restored now (until the next time!) and the updated map is now on the map page. A Trojan in the Country Park? No this is nothing to do with internet malware! It is a reference to the Shakespeare play Troilus and Cressida. 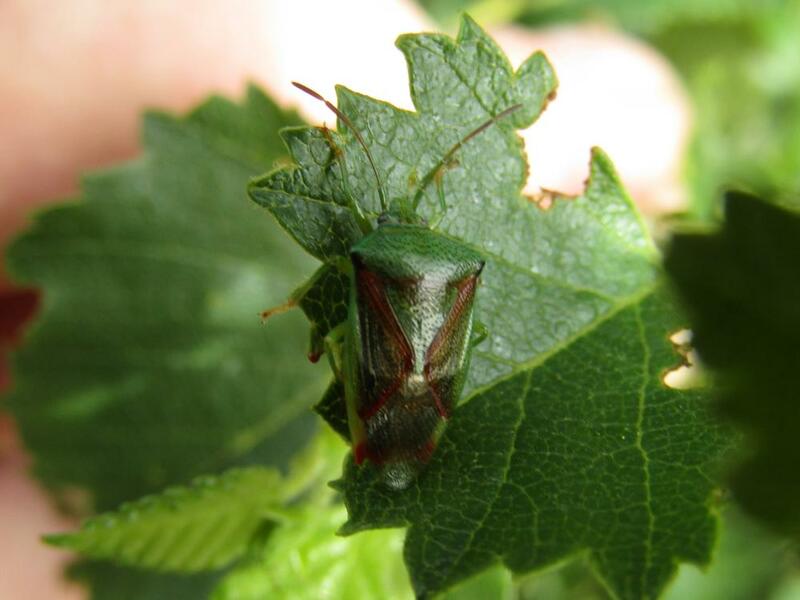 Today’s new record for the Country Park (and for me) is Troilus luridus aka Bronze Shieldbug. 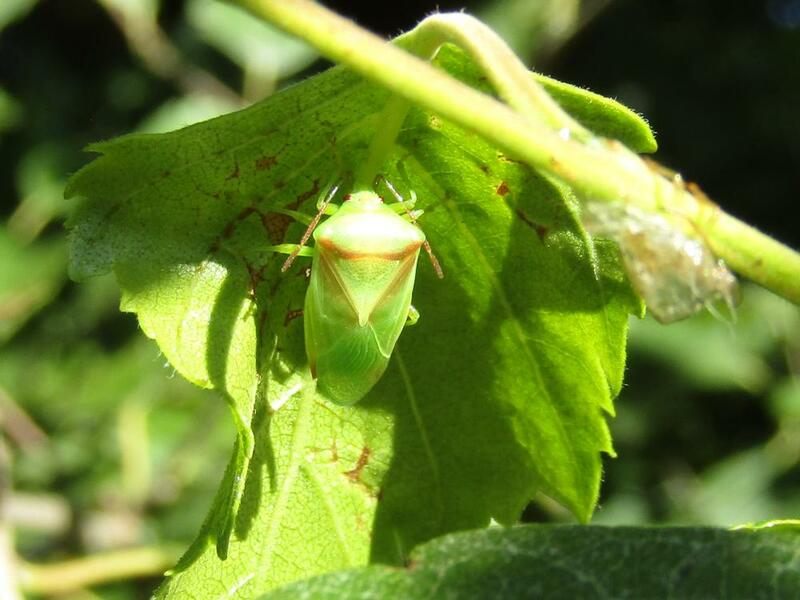 This is a predatory shieldbug which preys on a variety of other insects. My find is a final instar nymph which is possibly the most striking phase of it’s life cycle. The contrast between the green, white and metallic bronze is an amazing sight! 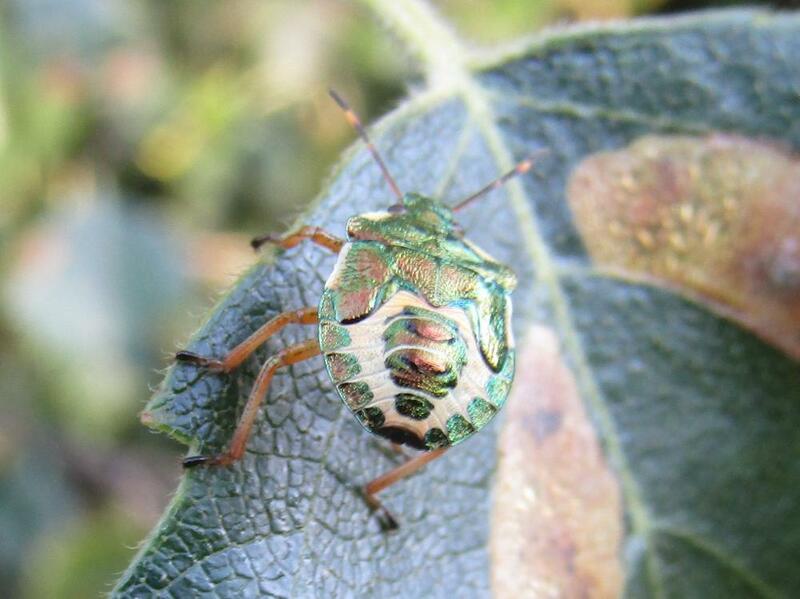 A couple of interesting photos today, the first is also a first for me as it is a teneral adult Birch Shieldbug. The teneral stage occurs when the final instar nymph moults into an adult and the exoskeleton has not yet hardened and it is very pale in colour. The first picture is the teneral and the second is a mature adult for comparison. 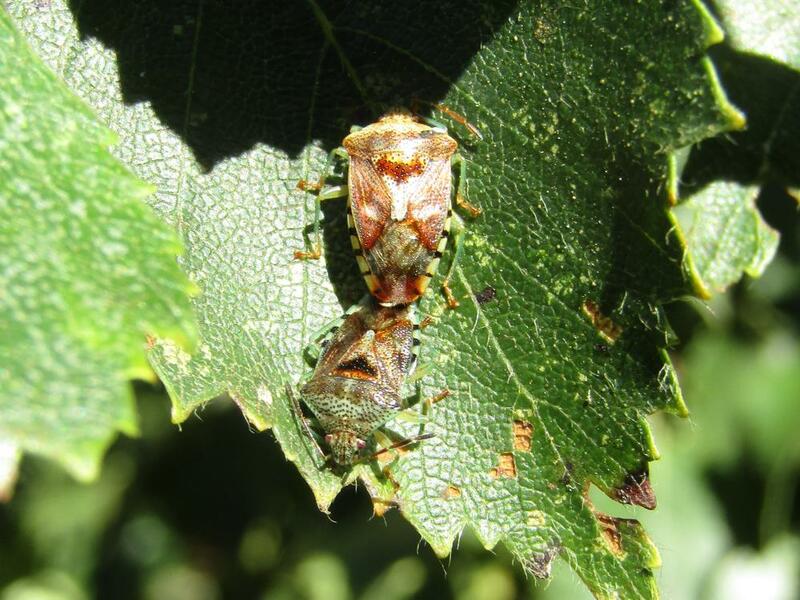 The third photo is of a pair of Parent Bugs mating to produce what I understand to be a second brood at this time of year. I am told that the female mates with a different male to the one of the first brood. 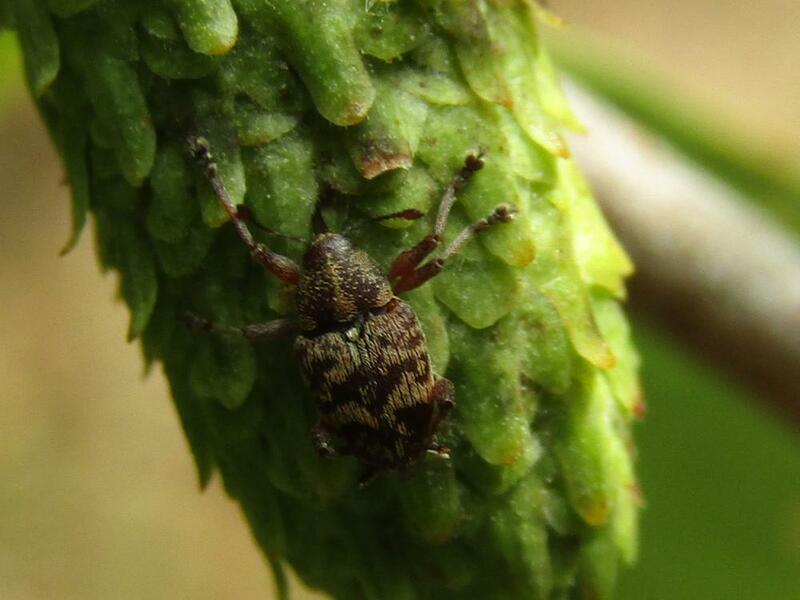 On Monday I was sent a photo by a regular dog walker at the Country Park of a beetle. 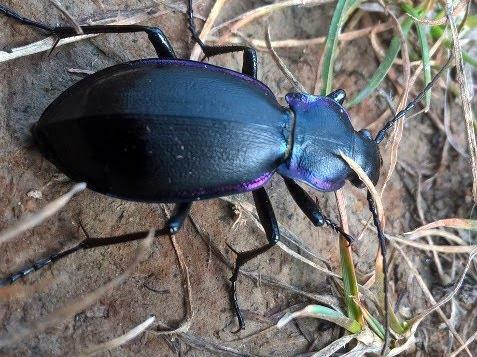 I was able to identify it as a Violet Ground Beetle, Carabus violaceus, which I have not seen before at the Country Park and consulting online records and another regular recorder at the Country Park who specialises in entymology (insects), there are no previous records. So this must be another first record for the Country Park. This beetle is possibly under recorded as it hunts at night for slugs, worms and other insects and by day is invariably lurking under a stone.